The wheels for a bicycle are something that is one of my personal favorite things to nerd out on. 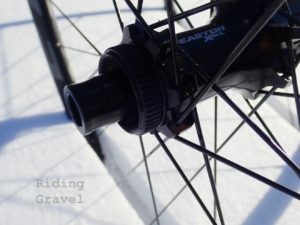 We have had the luxury here at RidingGravel.com to have had a good amount of wheels come through to be reviewed. I know that many of you readers have expressed that many of the wheels we have looked at are too expensive for your budget. We understand that and we have a set here that fits most budgets a bit more easily. 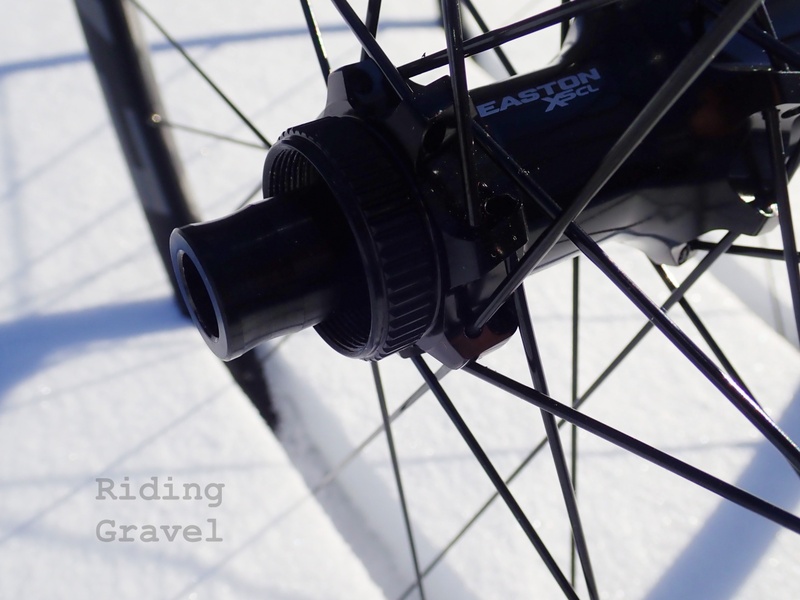 The EA70 AX wheel set in a fresh snow at RidingGravel.com headquarters. What It Is: The Easton EA70 AX wheels, a model Easton from Easton’s AX Adventure Road Line, is an all aluminum disc wheel set. Easton claims this set is up to trail riding, but they have optimized the wheels for drop bar use with a Center Lock brake standard, (most often used with road wheels), and a road 11 speed type cassette body. The front axle is 12 X 100 through axle, while the rear is 12 X 142mm through axle. The rims are aluminum, welded at the seam, and boast a 24mm internal rim width which Easton says is compatible with 35mm – 50mm tires. These EA70 alloy rims are then laced with 28 double butted, straight pull spokes in a 3X lacing pattern to Easton X5CL hubs. Both front and rear hubs have equal spoke counts and identical lacing patterns. The wheels were pre-taped for tubeless use. One was a bit sloppy at the end, but was easily fixed. First Impressions, Weights, and Tubeless Performance: The wheels are very understated, all black, and look well made. It should be noted that they came out of the box with through axle end caps and no quick release compatible end caps are provided. The rims were taped for tubeless use out of the box with valve stems also preinstalled. That’s a nice touch, and you can easily remove the valve stem if you decide to run tubes. The rim tape looked amber in color, and this reminded me of the sort of tape American Classic used to use in their wheels. If it is the same, it should work well. The Center Lock rotor mount is quickly becoming the “road disc standard”. The EA70 AX wheels are on the opposite end of the scale from what we have been reviewing of late, both in spec terms, and weight. (Pardon the pun) The retail price on the set is right around $500.00, give or take a few dollars depending on where you shop. The point being, that price for the set won’t even buy you a single rim from the last two wheel sets we reviewed here. So, weight for the set reflects this and I found the set sent to RidingGravel.com weighed in at 1,730 grams. The tubeless performance was good. Of course, some of that is dependent upon the tires you use. We will try setting up a few different tires as we go along here to see if the rim bead seat diameter favors one type of tire over another. The first tire I set up, a Donnelly MSO 50mm tire, went on easily by hand and set up with a floor pump. No drama there. So Far……. The Easton EA70 AX wheels are aimed at gravel/adventure riders looking for a durable, easy to get along with wheel set. What I’ve seen so far points to such a wheel here. They are not light, but they are not expensive either. Once the weather breaks here in the Mid-West, the aim for this reveiw will be to determine if the Easton EX70 wheels areup to their billing as a good choice for gravel and back road riders. 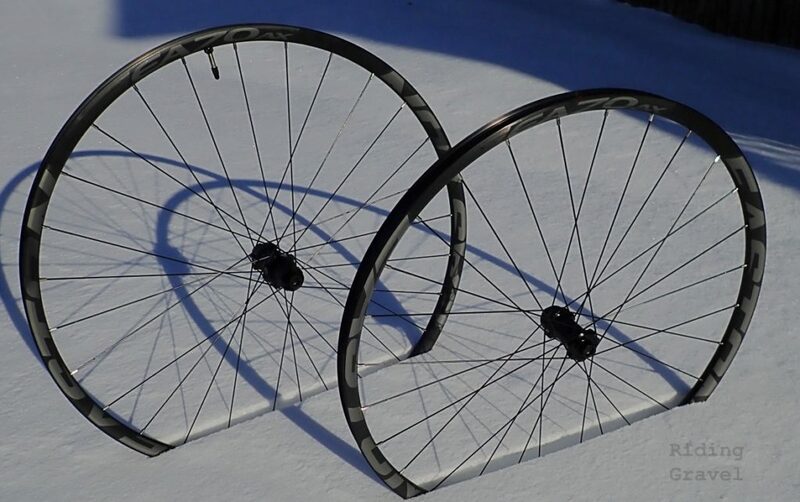 Note: Easton sent over the EA70 AX wheels for test and review at no charge to RidingGravel.com. We were not paid nor bribed for this review and we will strive to give our honest thoughts and opinions throughout. Thanks for reviewing some wheels for the 99%. Some of the previously reviewed wheelsets cost almost as much as my bike. While any bike or component maker should be able to produce great products when price is no object, the true art of bike making is to produce great bikes that regular folk can afford. While I occasionally enjoy reading about luxury sports cars, what I’m most interested in is SUV’s. I wouldn’t mind seeing some reviews of wider i27mm (i=inner width) or wider rims at affordable price points. Are the benefits of the extra width worth the extra weight and the added cost, etc.? @Bike Nerd- Thanks for the comments. We like testing and reviewing entry level/mid-price point components and bicycles. The thing is, most marketing companies and brands want their best on display, and I guess that is understandable. That said, we know most of the riding public cannot afford a wheel with a $600.00-$800.00 rim on each wheel! To address your final comment- This is also of interest to us at RidingGravel.com. It may come down to just building a set up for ourselves. 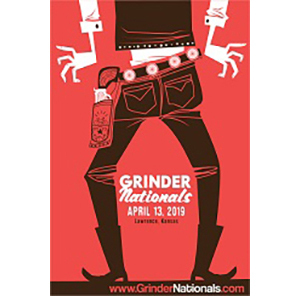 Stay tuned…….. So do you have these in 700c or 650b? Looks like QR is also an option, any idea if they are convertible or not? @Tom in MN- I have BOTH sizes. This happened after the post went up. I will be making some specific comments on each size in the “Checkpoint” post. I am not 100% clear on whether or not they are convertible- so that is another thing that will be touched upon in the upcoming article. I know from your time at http://twentynineinches.com/ that you loved the American Classic Wide Lightning wheels got mountainbiking. I got them on my mountainbike but unfortuatnely they closed their business. I recently got a gravelbike with some quite heavy stok wheels (2100 grams) and they are not so good as tubeless compared to the Wide Lightning. If I can find a pair of Wide Lightning, do you thing that they are too wide for gravel tyres ? @Jan- Thanks for the comments. The AC Wide Lightning wheels were not tested by me, actually. That was Grannygear and c_g who did the reviews on those. Anyway, that isn’t really important to your question. But credit where credit is due, and all. Yeah, I suppose it depends upon what tires you are thinking about running in your bike. I would suggest that at 30mm inner rim width, (the Wide lightnings were 29.5mm) you probably would want something ideally in the 45mm-55mm range for a tire. Anything narrower is going to be increasingly compromised in terms of performance as you go narrower on the tire. Because of the problems I had getting a set, I spoke to an employee at Jenson’s and they were under the impression the rims were being discontinued. Anyway, I’m happy with them so far. I was curious to know if there is a rider weight limit on these. I emailed Easton and asked them and they said there is not limit on these. That would be quite impressive if that is the case.